EPM - Edition 16 This seminar was useful, practically oriented, information was targeted, the trainer was excellent. Thank you!!! EPM - Edition 15 Thank you for the organization and hosting. EPM - Edition 15 The seminar was very useful and gave me better understanding clarifying many topics that I already had experienced before. The opportunity to share strategies within the group during the activities as well as experiences were great! EPM - Edition 10 Every topic of the course was followed by practical examples and practical activities. I will recommend this course and Pixel to my colleagues. 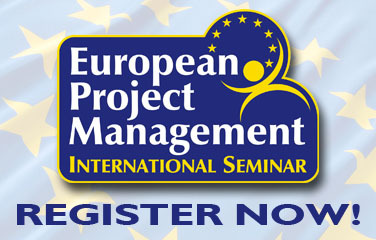 EPM - Edition 12 I will definitely recommend this seminar to my colleagues. Grazie mille. EPM - Edition 14 The best course I have ever been, so I definitely recommend it to my colleagues. You are a very professional. Thank you very much for everything. EPM - Edition 14 The programme was interesting and presented very well. Thank You! EPM - Edition 14 Thank You very much. I appreciated all the information received and the practical exercises with GANTT charts and other tools. EPM - Edition 18 The course is organized with innovative methods, many practical exercises and aiming at each participants interests and needs on his professional field of realisation. EPM - Edition 18 The seminar was very useful I would recommend it to my colleagues. EPM - Edition 18 Very good organization! Thank you!!! EPM - Edition 04 I liked very much clarity and detailed explanations of the contents. EPM - Edition 05 I am very glad I had the opportunity to participate in the training course and learn new things that I can use in my work. EPM - Edition 11 Very interesting indeed. I would recommend to the the staff involved in the implementation of EU co-financed projects. Keep up the good work! EPM - Edition 11 Excellent! EPM - Edition 12 A very good course, very well organized. Well done. Thank you. EPM - Edition 05 Congratulations for your work! EPM - Edition 07 Very well organised course! EPM - Edition 10 I have a very good impression about this course. Well structured. The trainers were great. I will definitely recommend you as a training institution and also a partner. Thank you very much for this amazing week! EPM - Edition 13 Everything was clear and well presented. Thanks for finally making me understand how the financial reporting should be done. 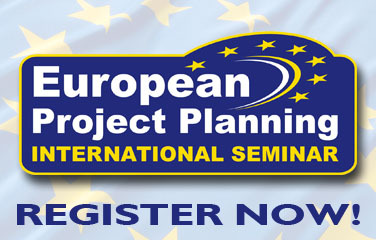 I am not only going to recommend this European Project Management seminar to the others, I would also like to take part at the European Project Planning seminar in the future. EPM - Edition 07 Thank you! A very well organised and useful course. EPM - Edition 19 A job well done! If we need a manager for international projects we look forward to working with you. EPM - Edition 19 Elisabetta and Andrea are both enthusiastic and really lovely persons. I am glad I had the opportunity to get to know them and also the other participants. I loved the atmosphere of European values and ideas. So thank you and hopefully we will meet again. EPM - Edition 19 The best course I have ever attended. I am ready to apply what I have learnt. EPM - Edition 18 Il will definitely recommend this course to colleagues. Thank you for the great organization and the good course! EPM - Edition 03 Very, very stimulating! EPM - Edition 19 Excellent! EPM - Edition 09 Engaging and clear content. Extremely well structured. Extremely good delivery. Well done! Thank You! EPM - Edition 03 I definitely recommend this course. Thank you for everything! EPM - Edition 02 The programm was based on practical experience, it's excellent! 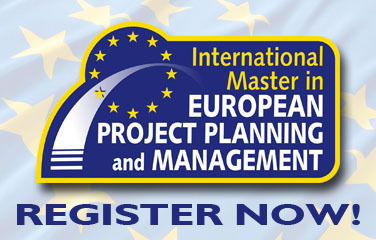 EPM - Edition 06 I would really recommend this course to all pearsons or professionals that are involved in European Projects. EPM - Edition 04 The trainers were just great! Excellent course. Congratulations. EPM - Edition 13 This is a seminar I highly recommend! Everything was perfect! Congrats! EPM - Edition 09 Exceptional organization of all aspects. 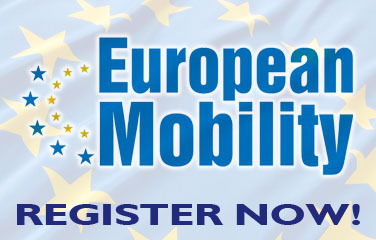 I think that every person running a EU project or applying for grant should attend this course. Andrea is a fantastic teacher who engages his students well. He gives a very positive energy to the class and is extremely knowledgeable. It was a fantastic course, well balanced with work and social. An absolute must for everyone in EU project management. It has been a truly wonderful time. EPM - Edition 18 I's all good. EPM - Edition 18 I appreciated the course and also the cordiality of the course organizers. I hope to join other subject-related courses in the future. EPM - Edition 14 The practical activities were very involving. There were real examples and concrete cases. The contents were clear and very detailed. Everything was perfect. Thank you for such a friendly welcome! EPM - Edition 14 This course was very useful for me. The acquired information will help me in my job to develop and manage European Projects. EPM - Edition 11 During the course I gained new knowledge and developed my skills in European project management. I will recommend the course. EPM - Edition 19 Very useful and high level course. I am very happy I attended it. I am planning to attend the Project Planning course as well. EPM - Edition 19 Thank you for the course, for the new skills, and for providing a new view on project management. EPM - Edition 07 A great course, I am very grateful! Thank you! Mille grazie! EPM - Edition 11 Course was great, very useful and I appreciated the open and professional attitude that our teachers had. I will use all the tools you provided. THANK YOU! EPM - Edition 06 A very good course that is highly recomendable. Thank you Andrea and Elisabetta!